While sorting through our big living room chest I found this cute childrens book. Aren't the illustrations adorable? 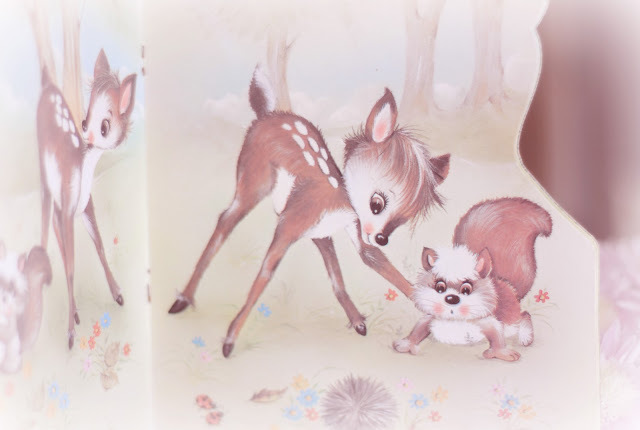 The book cover has the shape of a deer too :).